WHY I DON'T BELIEVE IN ASTROLOGY | RAWR BOWS. I'm quite a skeptical person - I don't believe in destiny, any kind of God and astrology. According to Wikipedia: 'Astrology consists of several pseudoscientific systems of divination based on the premise that there is a relationship between astronomical phenomena and events in the human world'. Whilst I think it would be somewhat interesting that this was true and I think the idea behind it is really beautiful, I don't believe in astrology and horoscopes. Here's why. There are plenty of experiments out there both for and against this practice. Which ones are right and wrong, I don't know, that's for you to decide. The main reason why I ‘chose’ not to believe in astrology was the fact that, believing in it, would make me not a 100% responsible for my actions and achievements. I didn’t want the explanation of my good grade on a final to be that two planets happened to be aligned that day, the same way I didn’t want to be able to justify my mistakes using the sun’s position when I was born. I wanted to believe that whatever happened in my life, both good and bad, was the result of what I had decided to do in the past. As easy as it may be to be able to blame my bad decisions on something that's out of my reach, I rather be accountable for my actions and learn from them. For example, when mercury being in retrograde is a phenomenon that has been associated with slightly bad things happening like missing an appointment, loosing something, etc. Am I really going to stop doing what I want to do because of how a planet is moving? It sounds a bit crazy, if you ask me. The funny thing is, Mercury’s retrograde is an illusion, the planet doesn’t really go backwards. Its rotation speed slows down and gives the appearance to be going backwards. I personally don’t see the logic in it, I could obviously be wrong and someone someday might prove that astrology is in fact not a made up thing and that it’s actually capable of explaining things and predicting the future. Until that happens, though, I’m going to keep reading my horoscope from time to time just for the fun of it and be surprised when it's actually right. . I do understand that some people believe in it and I totally respect that. I just thought it would be interesting to share my thoughts on that topic since it seems to be quite trendy at the moment. 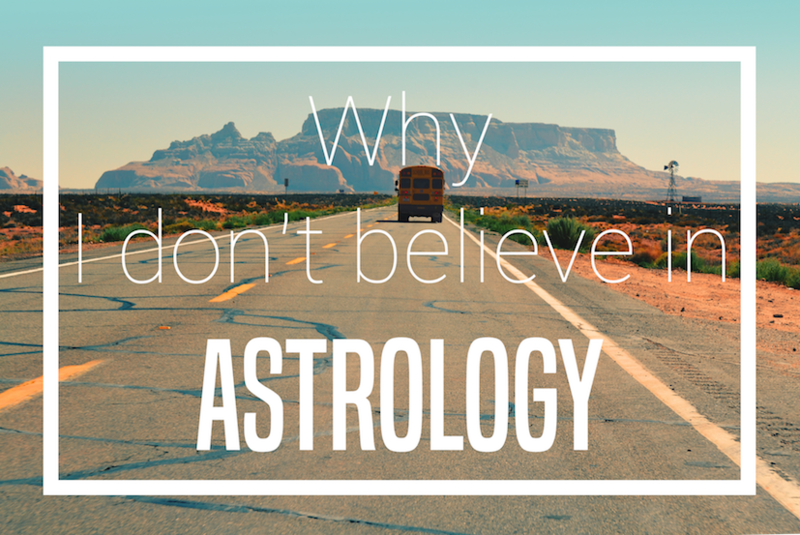 Do you believe in astrology, why?